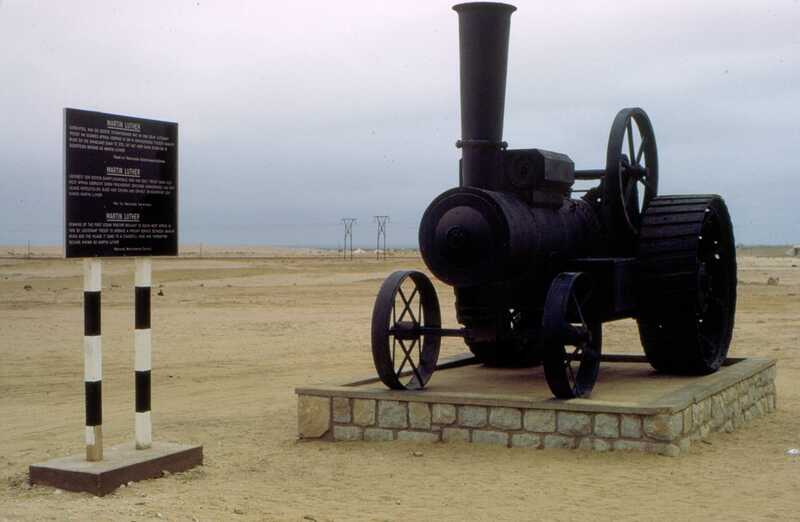 "Martin Luther": strange monument at the roadside shortly before entering Swakopmund, Namibia from inland attracts tourists of all religious denominations. 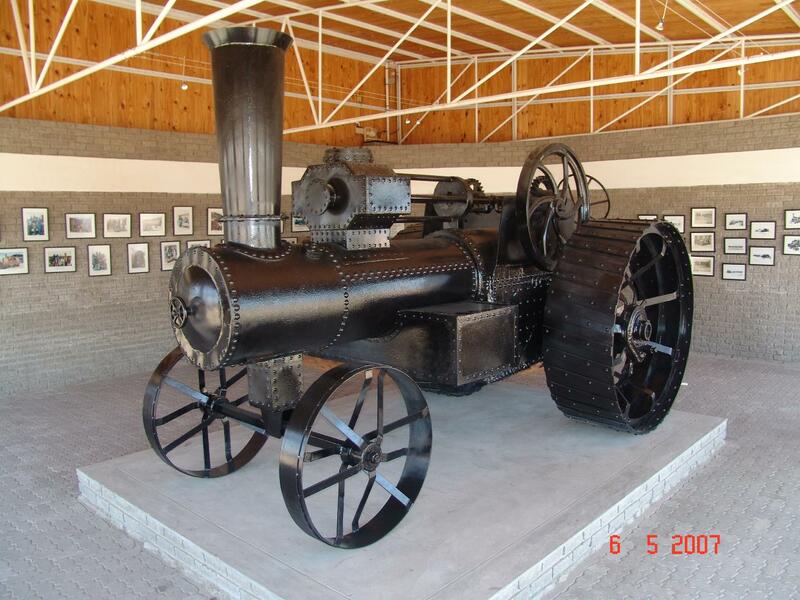 ''Martin Luther'' the steam tractor was restored in 1973 from a rusted heap of scrap to its current state and proclaimed a National monument. It fell under the protection and jurisdiction of the National Monuments Council. Unfortunately it is quietly rusting away under a heavy coat of black paint. Imported in 1896 by Lt. Edmund Troost who intended easing inland trips for oxen used to haul freight treks i.e. Going halfway to Heigamgab. No rail and railway development yet. The machine was manufactured in Halberstadt Germany and shipped from Hamburg in early 1896. Lt. Troost accompanied. 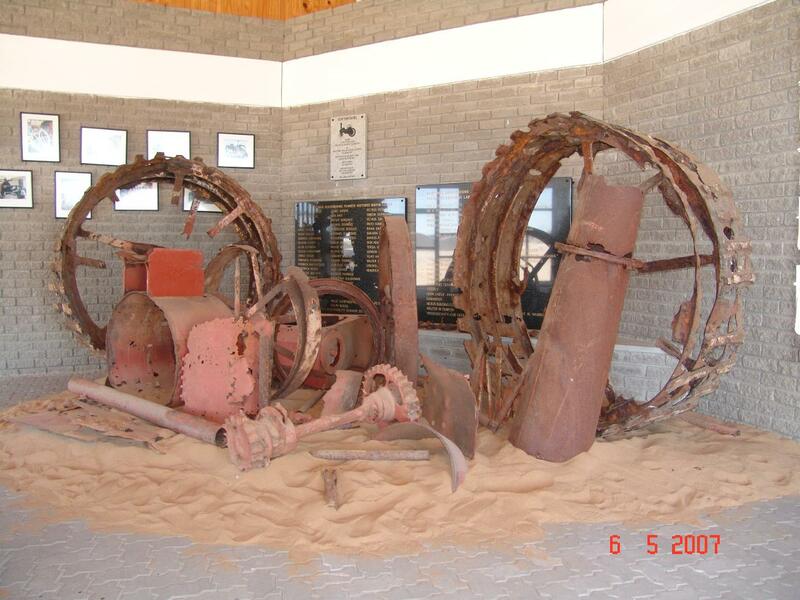 Lack of labour force in Swakopmund necessitated the 2.8 ton machine to be offloaded in Walvis Bay. 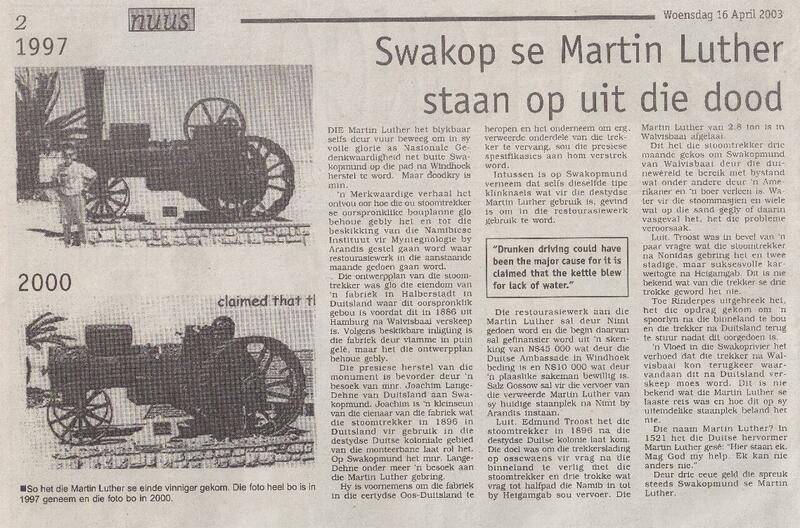 Took 3 months to manoeuvre tractor through sand dunes to Swakopmund, first with help of an American and then a Boer. 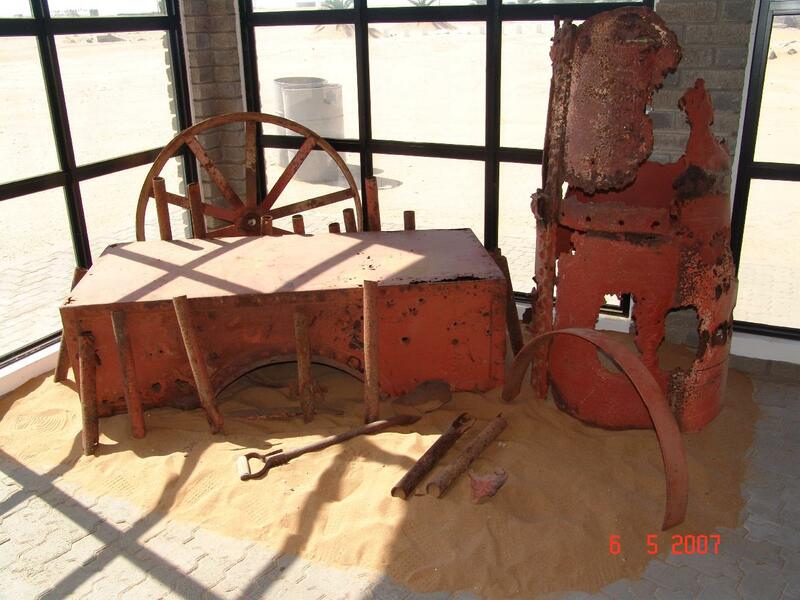 Problems were water and wheels that sank into and slipped on sand. 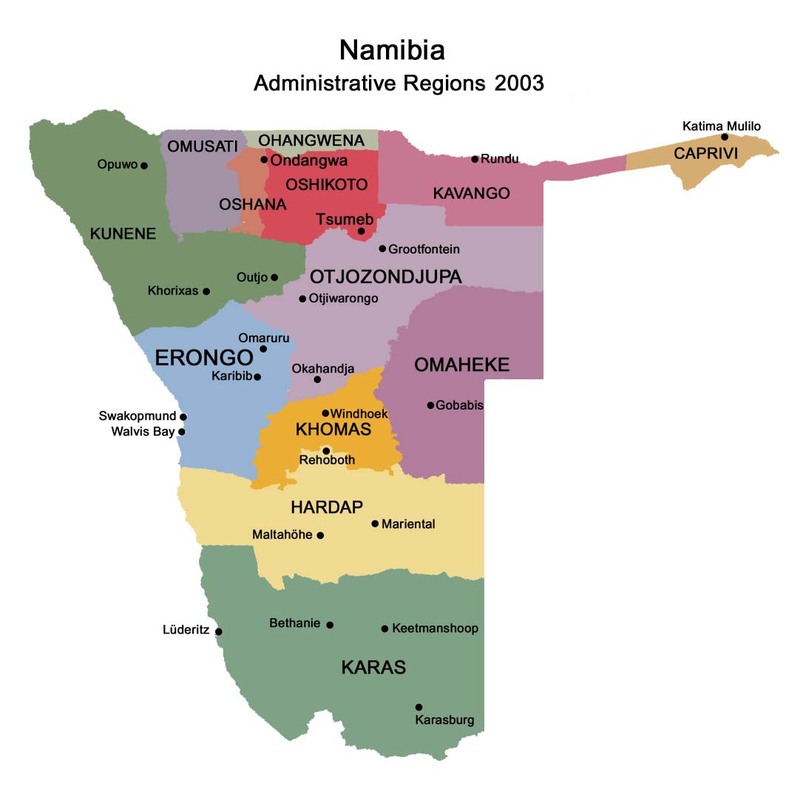 Lt. Troost undertook a few trips to Nonidas, and two slow but successful trips to Heigamgab. Three trailers were constructed and used for freight, their fate is unknown. He was satisfied with the performance though servicing crew seemed to be a prime problem. Rinderpest broke put and Troost was requested by Maj. Leutwein to assist in establishing the railway line. 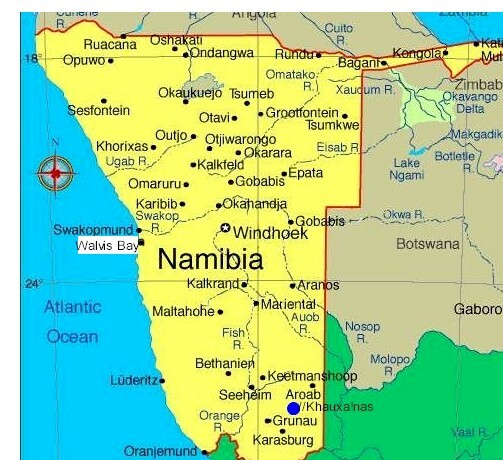 The tractor was overhauled before he was ordered back to Germany but stood idle for some time as the Swakop river had flooded badly, making crossing over mud impossible. It is not known for certain when the last journey was made and there is some speculation about what the cause of the permanent stop was. ''Drunken driving could have been the major cause for it is claimed that the kettle blew for lack of water. 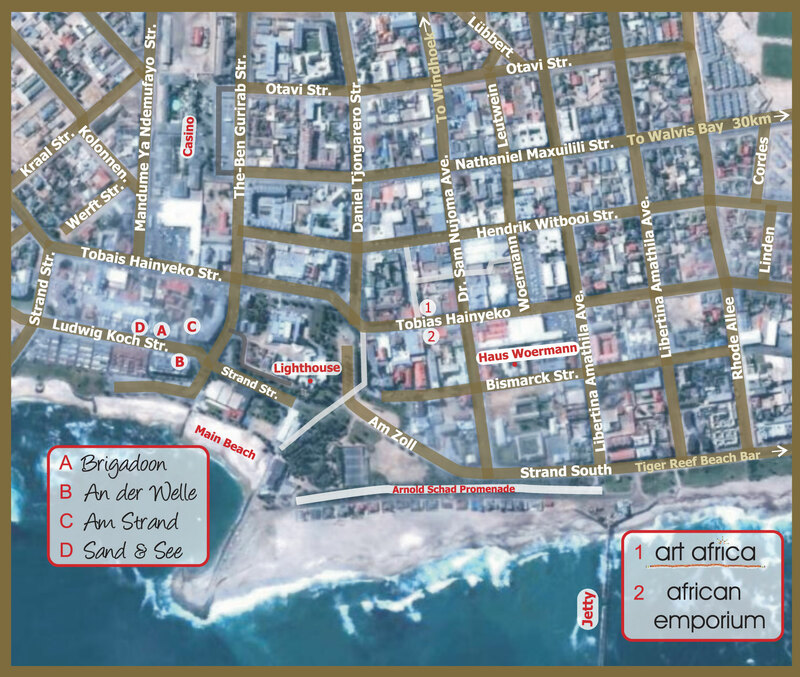 Mr. Joachim Lange-Dehne, a grandson of the proprietor of the original engineering firm responsible for the construction of the tractor, recently visited Swakopmund and ''Martin Luther''. He intends reviving the factory which was situated in East Germany and offered to replace badly corroded parts in the future, if specifications were supplied. NOTE: These two images were taken in 1997 (above) and 2000 (left).